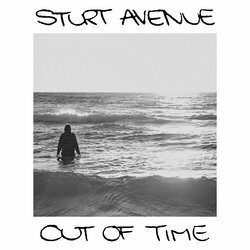 Sturt Avenue is the project of SCALA award winning singer/songwriter Bryn Soden. Drawing inspiration from folk artists such as Conor Oberst, Elliott Smith, and John Darnielle, Bryn crafts melancholic indie folk tunes that aim to shine a soft light on a quiet sorrow and stubborn defiance that keeps the embers burning in the dead heart of the world. Joining him in this endeavor are his dad and his sister, and some of his best friends. “Out of Time” is a folky dirge lamenting the speed at which life slips by, and how easy it is to lose track of the people we once held dear. Wearing its heart on its sleeve, it opens with a minimalistic folk sound, before building to a big chorus and gorgeous brass instrumental. Dan Mijat - a friend.